A long-lost video of an interview with late Tejano superstar Selena Quintanilla has surfaced after 20 years. The footage of the "Queen of Tejano" was found in a television camera donated to the Smithsonian's National Museum of American History's Spanish-language television project by Univision. The video shows Selena on the TV show "Tejano USA" in an April 1994 interview. It was recorded at Hemisfair Park in San Antonio shortly before Selena performed at the "Texas Live" Music Festival. The rising star recalled being in awe at all the celebrities present at the 1994 Grammys and how excited she and her band, Los Dinos, were to just be nominated. "When they first told us that we were nominated we all freaked out, we couldn't believe it. The first thing, I promise, the first thing that came to mind is that I need to take a camera to take pictures with all of these stars. It didn't hit me till later when I thought, 'Oh my God. What if we win?'" the singer said. "They didn't let me take my camera in, that's one of the things. I didn't get to take pictures until afterward." 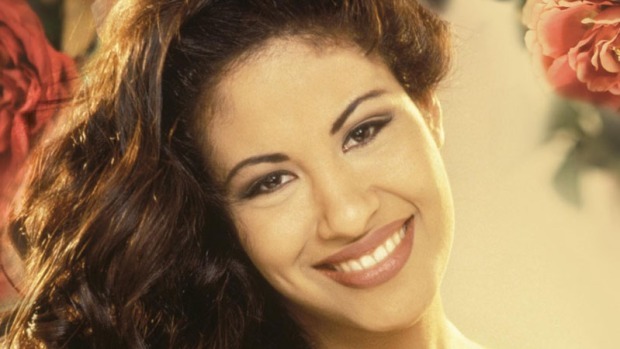 She was fatally shot less than a year later on March 31, 1995 by the former president of her fan club, 34-year-old Yolanda Saldivar. Selena was just 23-years-old.